The Premier League season comes to a close on Sunday and for the second time in four years, West Bromwich Albion and Arsenal meet on the final day. In 2011, Arsenal needed a win at the Hawthorns to secure their Champions League place, and a howler from Baggies’ stand-in ‘keeper Martin Fulop handed the points to the Gunners in a 3-2 win. This time around, Arsenal are safely in third place, and three points and seven goals ahead of fourth-place Manchester United, so it seems unlikely that LVG’s men can turn that around. Having said that, if Albion can repeat their 3-0 win over Chelsea, it isn’t beyond the realms of possibility for United to send Hull City down with a thrashing. However, Wenger probably feels safe enough, and with the FA Cup final less than a week away and Arsenal looking jaded against Sunderland on Wednesday evening, I’m expecting a few of the star players to be rested. While that might seem to make the Baggies’ task a little easier, any fringe players coming in will certainly be looking to stake their place for a start at Wembley. Albion’s victory over Chelsea was certainly their most impressive Premier League performance of the season that I have witnessed, and I’m sure Pulis will be looking to end the season on a high. With nothing to lose, Albion may show some of the same adventure that they did against Chelsea, while maintaining the discipline at the back that Pulis demands. Against an Arsenal side that will attack no matter what the personnel, that could make Sunday’s game highly entertaining. Can Albion end their season by beating three of the top four in their final four games? West Bromwich Albion first met Woolwich Arsenal in the second round of the FA Cup in February 1901 at Arsenal’s Manor Ground, a game which the visitors won thanks to a goal from Ben Garfield. The south Londoners gained revenge in the first ever league meeting between the sides in Division 2 the following year with a 2-1 win over the Baggies in March 1902. Eighteen years later, the two side met for the first time at Highbury. Arsenal had crossed the Thames seven years earlier, dropping the ‘Woolwich’ from their name, and the north Londoners inflicted a rare defeat on the Baggies in their league-title winning season, winning 1-0 thanks to a goal from Billy Blyth. By the end of that decade, Arsenal were a coming force in English football having lured legendary manager, Herbert Chapman, from Huddersfield Town. In 1925, Chapman’s Huddersfield had pipped Albion to the title, the Terriers’ second in succession, but he joined Arsenal that summer. While Huddersfield did go on to win their third title in 1926, with Chapman’s Arsenal runners up, Arsenal finally won their first league title in 1931 and met Albion in that year’s Charity Shield match. Albion had won their “Unique Double” of promotion and FA Cup that year, but Arsenal proved too much for them, winning the Charity Shield match at Villa Park 1-0 thanks to a goal by the legendary Cliff Bastin. The Baggies biggest ever win at Highbury came in November 1959 when Ronnie Allen (2), Bobby Robson and Derek Kevan all scored in a 4-2 victory. Arsenal’s biggest win was in September 1970 – Hugh Reed and Bomber Brown managed goals for the Baggies, but Ray Kennedy and George Graham both scored twice with George Armstrong and a Len Cantello own goal completing the scoring in a 6-2 win. Arsenal, of course, went on to win the double that season. In Albion’s last season in the old Division 1, they managed to get a point at Highbury in April 1986. George Reilly grabbed a brace for the Baggies in response to an Ian Allinson penalty and a Stewart Robson goal in front of less than 15,000 fans. The two clubs didn’t meet again until the fixture computer put Albion’s first two away games in the Premier League at Old Trafford and Highbury in 2002. 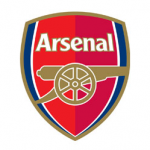 Arsenal looked like the reigning Champions they were as they put five past the Premier League new boys with goals from Ashley Cole, Lauren, Sylvain Wiltord (2) and Jeremie Aliadiere, although Scott Dobie and Jason Roberts did manage to get the Baggies on the scoresheet. Derek Monaghan was remembered by few Albion fans, but for more than 30 years he was the last West Brom player to score a winning goal at Arsenal. His only goal in the 1983 fixture was one of only three he scored in his entire professional career, although that career did consist of only 26 appearances. That accolade finally transferred to Jerome Thomas in 2010, where it still resides. In that remarkable game at the Emirates, Albion took a 3-0 lead thanks to second half goals from Peter Odemwingie, Gonzalo Jara and the aforementioned Thomas, although two goals from Samir Nasri in the last fifteen minutes meant that Thomas’s third was all important come the final whistle. Albion haven’t scored at the Emirates in the three games since then although the sequence of results of 3-0, 2-0 and 1-0 suggests this weekend’s visit might produce something! Albion have no new injury concerns so Ben Foster remains the only player unavailable. I expect to see the same starting 11 that did so well against Chelsea at the Hawthorns. Arsenal will be without Danny Welbeck who has a knee injury while Alex Oxlade-Chamberlain and Mathieu Debuchy are back in training but unlikely to make the squad. With third place more or less assured for the Gunners, Arsene Wenger can afford to Rest some players ahead of the Cup final, so we could see some of the fringe squad take the field. Pulis, on the other hand, will be looking to extend Albion’s five match unbeaten run and add Arsenal to the recent list of impressive scalps, so I expect a similar approach to that we saw on Monday evening. Those Arsenal first teamers who do make the side will be looking to avoid an injury which would mean them missing a Wembley appearance, so I’m not expecting them to enjoy a physical battle. Albion have yet to keep a clean sheet against Arsenal in the Premier League, but Arsenal have failed to score in their last three games at the Emirates. I think Albion will get something, and if they can keep Arsenal out for the first time, it could be another impressive three points to round the season off.